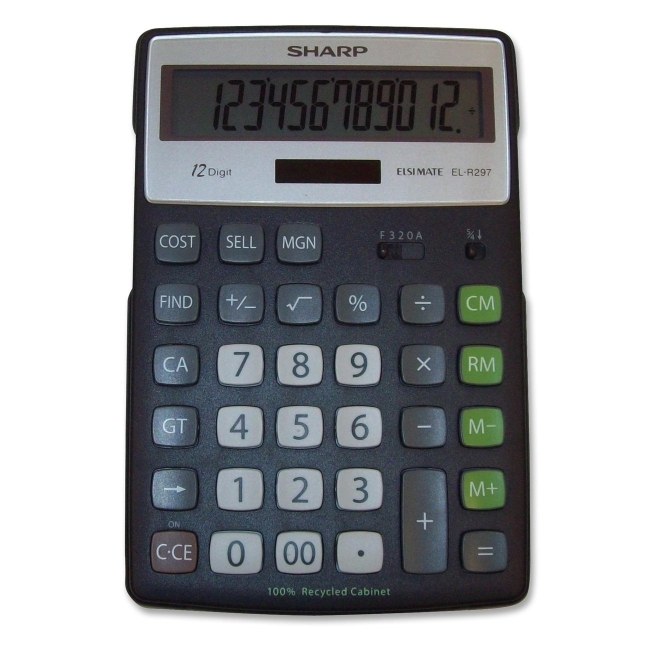 Semi-desk calculator features a 100 percent recycled cabinet, slanted 12-digit LCD screen and kickstand. Functions include four-key memory, Grand Total, double-zero, cost/sell/margin, sign change, and percent key. Decimal settings include F, 3, 2, 0 and A. RoHS compliant calculator runs on solar power and battery power.